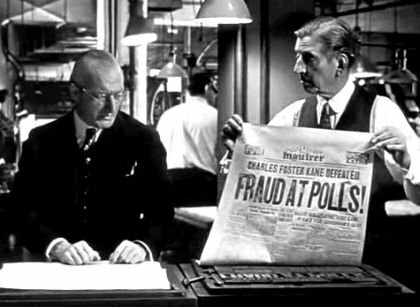 In political circles it is well known that there are three kinds of vote counters. Those who can add 2 + 2 without a calculator and those who cannot. Lake County Clerk Willard Helander apparently belongs with that third group. primary result included ineligible votes from five Waukegan precincts — 344, 345, 347, 350 and 355. Those precincts were removed, through redistricting, from newly-drawn Ward 1 and added to Ward 2. In addition, ineligible voters also cast ballots in four split-precincts in Waukegan — 343, 346, 348 and 349. "They can call it a mistake," McLemore said. "I call it fraud." For the record, this was not an instance of fraud -- voter fraud occurs when someone casts a ballot under false pretenses. Now if a pattern of negligence were established, this, legally speaking, could be defined as official malfeasance. Unlike the Democrats, there was no more than one Republican candidate for any NSSD Ward. So no Republican candidate was harmed in the botched vote count. The question of whether or not Helander is to be reprimanded, is left to operatives as an exercise. You do the math. A few minor scattered incidents over the years, all of them in precincts which were split up through redistricting and strange district lines being drawn. All of them corrected. Usually happens in school districts, NSSD, municipal trustee positions, library boards races. When it happens to Orr down in Cook County on a far more frequent basis, including late poll openings and election judges rolling out of bed at 7:00 a.m, there is complete silence from you Democrats. And now Democrats are pushing for election day registration and voting? How many goldfish will the Democrats register then? For what the satirical blogs are saying about David Orr, I'd recommend the CookCountyEye. I find Louis's continuing dither over Cook County comical. His GO-Tea-Party yahoos seem to be able to get a pass on corruption and incompetence with regularity by the mere suggestion that it may have happened at one time in Cook County. Pity the Lake County GO-Tea-Party doesn't strive for excellence rather than thrive on expensive. From personal experience in Cook County, however, the only election judges that were rolling out of bed at 7:00am belonged to Dean J. Sodaro. But Louis seems omnipresent, so I'm sure he's seen more than me. Or at least he has in his mind's eye.